While the oldest record of cheese making was ~7500 years ago in an ancient cattle rearing town in present day Poland, with the help of the master cheese makers, the Romans, the spread of cheesemaking quickly permeated Europe under the watchful eye of monks. Legend has it that like many great creations, the creation of cheese was sheer coincidence, when an Arabian merchant had stored his milk in a sheep’s stomach and then days later found the milk had separates into curds and whey. Nowadays, the U.S. is the largest producer of cheese, producing >30% of world’s cheese. Yet, with such wealth of cheese, 4% of the world’s cheese is stolen annually, making cheese the #1 stolen food on Earth. 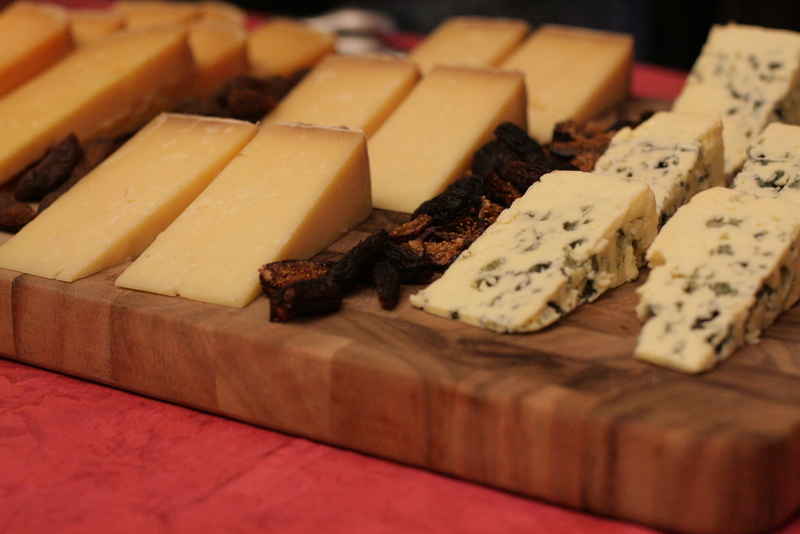 Search for tastings, cheese rolling, special restaurant menus, costume parties and/or cheese fondue parties near you. Personally, I’ll be checking out Scardello, a cheese shop that also doubles as a wine shop. Cheese mongers help pick out cheeses ranging from Roquefort to Stilton. Eat a classic grilled cheese! Learn about the different textures of cheeses, with the main varieties including: fresh cheese (ricotta); soft cheese (feta); semi-soft cheese (Fontina); semi-hard cheese (Gouda); hard cheese (Cheddar); double or triple crème cheese (Brillat-Savarin); blue cheese (Gorgonzola); washed rind cheese (Limburger); and bloomy rind cheese (Brie). This statement comes from the Dallas Observer. Celebrate locally produced cheese by checking out the American Cheese Society’s list of local cheese companies. Are you as surprised as I am that there are so many varieties of cheese from such simple ingredients? Yes, all cheese derives from curds, which are the bits of protein that is produced from soured milk, yet, variations in cultures and the addition of flavors (eg. 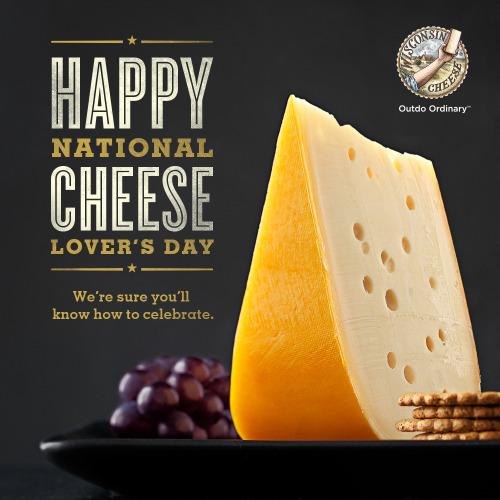 added spices and mold) aids in the transformation of cheese from a simple combination of dairy and acid into many celebrating cheese on Cheese Lover’s Day! Many wine connoisseurs have their favorite wine and cheese pairings. Do you have a go to pairing? What’s your favorite way to eat and/or use cheese? If you’re curious the origin of cheese from around the world? Check out this interactive map that shows exactly where cheese comes from!